Construction projects in or near wetlands often adversely affect the environment in some way. 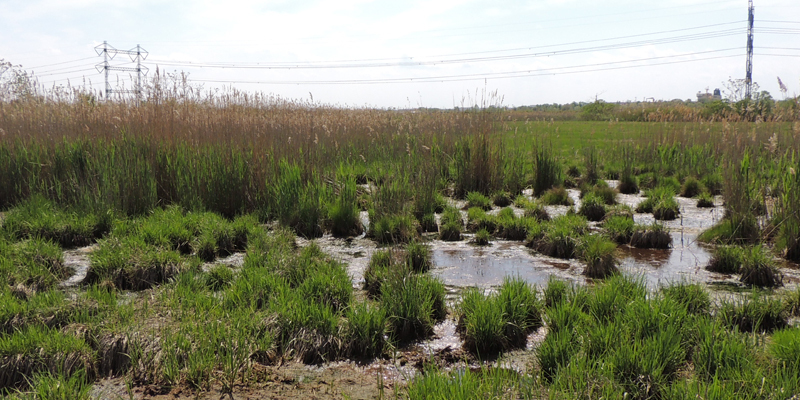 Even renovation work near jurisdictional waters and/or wetlands can impact a fragile wetland ecosystem. Stormwater runoff is also a chief concern and cause of damage. If a project exceeds compatible land use regulations, applicants are required to examine alternative sites and project designs that avoid and reduce impacts to wetlands or develop plans to create or improve wetlands or wetland functions to compensate for unavoidable impacts to the environment. An individual permit may be required. Nationwide Permits may apply to certain kinds of construction activities and structures. No review is required for renovation of buildings outside of wetlands. Does your property contain wetlands? For properties located within Breezy Point, include an aerial map showing the location of the lot. Is your project location and scope within jurisdiction? Tax Map and/or Property Survey or Existing Conditions Map, if available. Plans showing the proposed conceptual site design, project location within the property, limits of construction/disturbance including how they are accessing the site and storage of materials. Do you need a wetland boundary delineation? Contact DEC to see if you need a wetland boundary delineation. DEC will coordinate with applicants/surveyors for a site visit to delineate wetland boundaries. Check on the legal status of all existing structures on the property, and resolve outstanding issues/disputes. Compatible projects design: The easiest and most efficient path to obtaining a permit is the submission of an application for a project that is designed to be compatible with agency (NYSDEC) policies and land use regulations. Note that adjacent area projects that do not comply with agency regulations, or where the scope is complex, may experience a longer review process, depending on the project scope, level of complexity and compliance with land use regulations. If your project is complex, DEC may coordinate a pre-application meeting with you and your project team. Be prepared to discuss project scope and bring concept plans. A NYS DOS Coastal Zone consistency review is required for new construction of most structures. DOS reviews are not required for many projects which qualify as Nationwide Permits. Contact the NYS DOS to discuss your project scope and requirements. Contact the NYC DCP to discuss your project scope and requirements. Once the above agencies have approved your project, you’ll also need to obtain any necessary building and construction permits from NYC Department of Buildings. The following are specific application requirements for development near a wetland.